Read about Netherlands, its visa procedure, attractions, cuisine and much more before your trip to start enjoying the country the moment you arrive there. Think of a country where elegancy and coziness walk hand in hand, accompanied by the epic existence of a culture that has always been under the spotlights. Yes, this is exactly how Holland, or let’s be more accurate, The Netherlands, can be described. European Union member, The Netherlands has got a population of almost 17 million in a small piece of land on North West Europe. Under the constitutional monarchy, the government is a unitary parliamentary representative democracy. The capital city of the Netherlands is Amsterdam and it is known to be one of the most relaxed and environmentally friendly cities in Europe. However other urban cities like Utrecht, Rotterdam and The Hague are also quite distinctive with their characteristic features in The Netherlands. Generally Holland is used to refer the country however the correct one is The Netherlands, as Holland is only the name for two provinces in the country. People from Holland are called Dutch, which is also the national language. The Netherlands has contributed to world’s cultural heritage by many different names on different platforms. Christiaan Huygens, Rembrandt, Vincent van Gogh, Erasmus, Joost van den Vondel are only some of the famous Dutch people who have got strong influence on world history. Known as one of the most liberal ones in the world, the Netherlands is a country where one can actually feel free and get fascinated by the packed beauty and history that wraps up the whole land. Netherlands is located on North West Europe. The country also has got three islands in the Caribbean. The Netherlands is a Schengen Agreement country with only the parts in Europe, excluding the parts in the Caribbean. Dutch Embassy has got the relevant information regarding visa procedures. Amsterdam, as the most cosmopolite city in the country, has got everything packed: places to see, museums to discover, excellent restaurants that serve the most delicious examples of the Dutch cuisine and numerous options to have fun. However, other cities and destinations in the Netherlands are quite competitive as well when it comes to things to do. In Rotterdam, Delfshaven gives you the feeling of going back to 17th century. A walk in this scenic district is highly recommended. 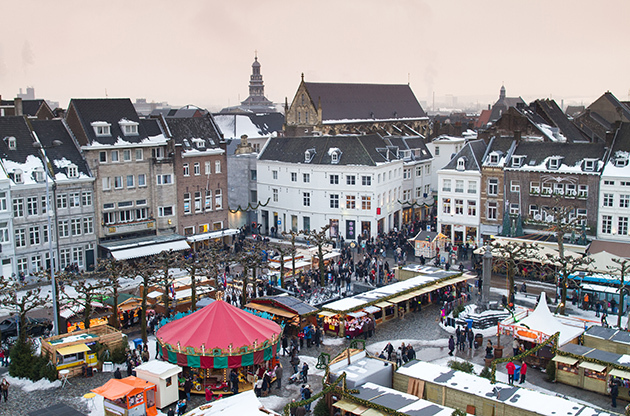 Utrecht, although known as a student city, has got more to offer than a shiny night life. Take a glass of the locally brewed Stadskasteel Oudaen and admire the charm of the city. The seat of the government, Hague can also be an interesting choice to spend a couple of days in. Hague is one the greenest cities in The Netherlands and has got a coast to the North Sea which makes the city quite distinctive from the others. If your trip falls between the beginning of March and mid-April, to see flower fields, especially the famous Holland Tulip ones, is one unique experience. The feeling of walking in a painting is often felt by the travelers who have been in an excursion to these. Netherlands has got many types of shops and flea markets in which you can find all the things associated with the culture and the country itself. Most of these accept ATM and Visa. Yes, you already know this even before you arrive in the Netherlands; you are going to buy a pair of wooden clogs that are typically Dutch. As this is the main souvenir, they are literally everywhere. Maybe you can’t buy some flowers from the Netherlands to take home with you. However it is always possible to buy some seeds to grow your own Dutch Tulips. The small packs can be found in small markets in the Netherlands with instructions to take care of it later on. It is a bit interesting but Dutch people do care about the birthday calendar issue. That why it is possible to buy really cool ones all around the country. Keep in mind, it is not always easy to choose among almost thousands of different designs. When it comes to food products, two things should be coming with you back home: some Dutch cheese and stroopwaffles. These can be found both in huge supermarkets and local markets located on the streets in the Netherlands. Netherlands, despite not having a legendary cuisine, has got some truly Dutch dishes that will enrich your appetite. In addition, the country gifted the famous Hollandaise Sauce to the world. To start with, cheese is an important element of the cuisine. Especially certain types are produced all around the Netherlands, including Gouda and Leerdamer. Cheese may be included both in breakfast and lunch. Meat constitutes a major part of the meals whereas vegetables are usually served as supplementary side dishes or in soups (save some space in your stomach for the Pea Soup). Fish is not so popular in Dutch cuisine except for the special Hollandse Nieuwe Haring. Some of the most famous dishes, snacks and desserts in the Netherlands are Bitterballen, Limburgse Vlaai, Rookworst and Kaassoufflé. If world class congresses, exhibitions, fairs, tradeshows, conferences and symposiums are to be attended, the Netherlands becomes a great destination. Not only the capital Amsterdam, but also the other cities have been serving as a meeting point for event tourists for a long time now. Netherlands offers both the professional point of view needed to host these events and the ultimate feeling of joy that comes from exploring a new place.